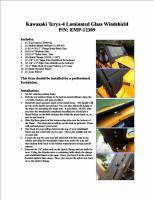 1/4" Thick laminated safety glass. 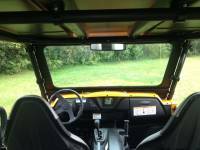 Laser cut and CNC formed metal frame. DOT rated and etched into the glass. 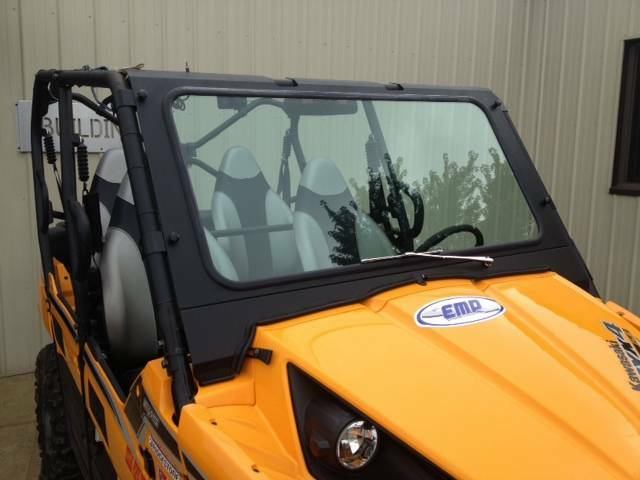 Rubber gasket seals and protects your hood. 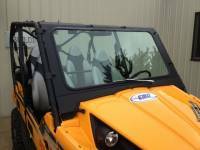 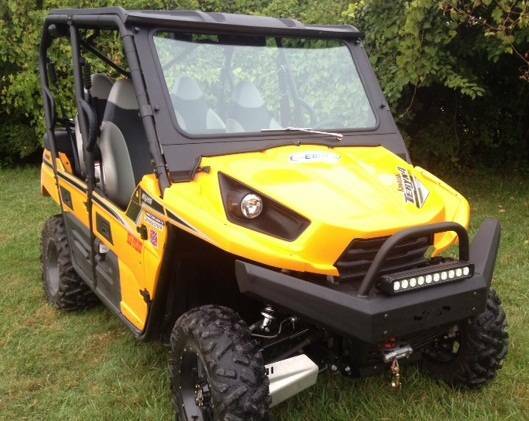 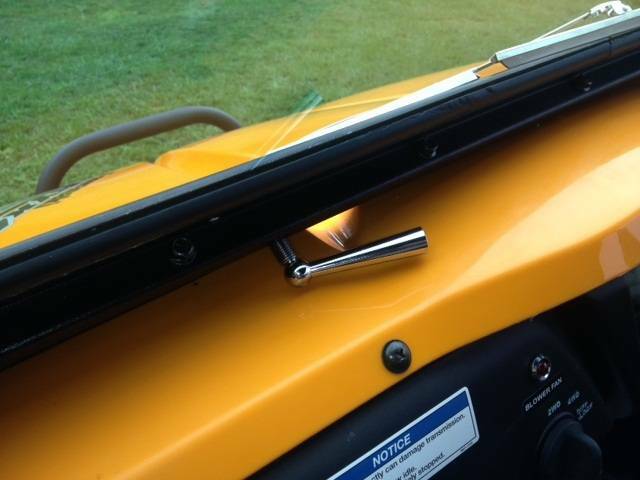 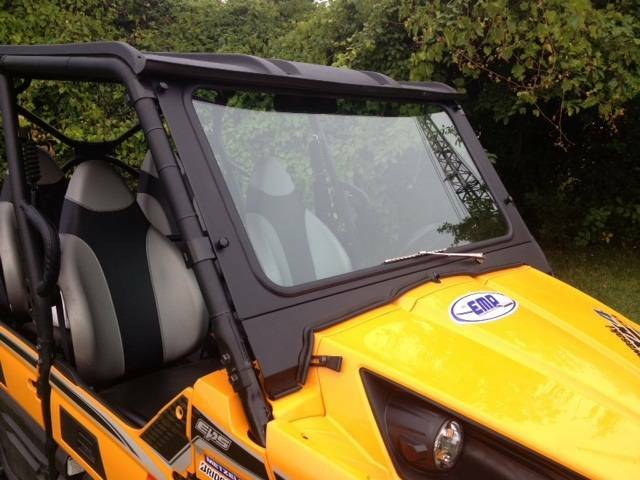 Now, you can add a real laminated safety glass (DOT Approved) windshield to your Teryx. 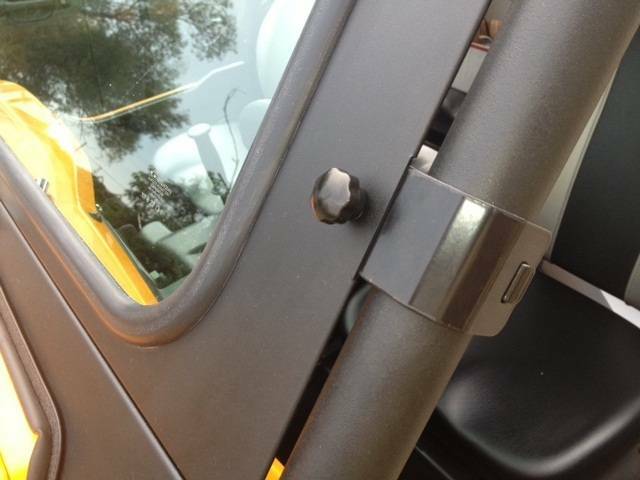 The metal frame is laser cut and CNC formed, ensuring a perfect fit. 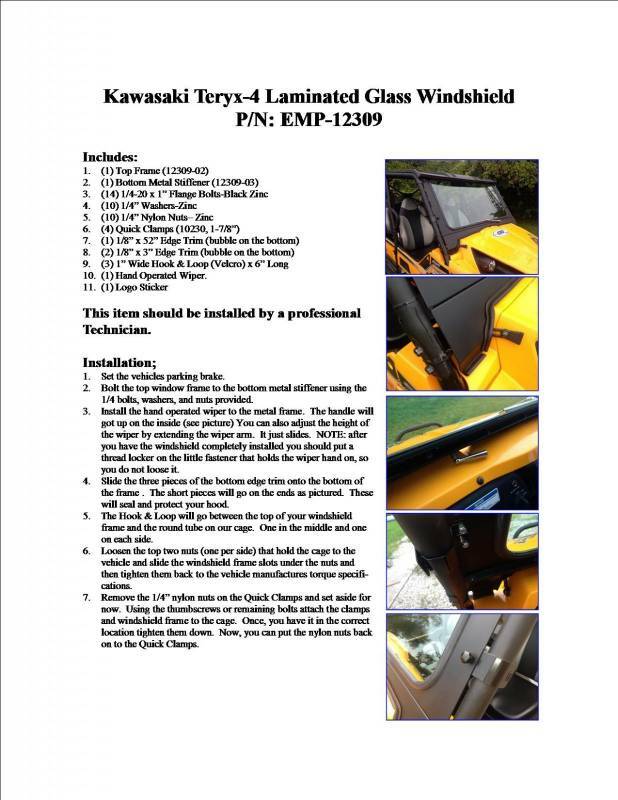 Comes complete with a hand operated wiper.